We all need milk. Adults as well as children need pack vital nutrients to keep the body in the pink of health. The rewards of drinking milk include reaping the many vitamins and nutrients that are essential to skin health. Milk is the best source for calcium, and that’s exactly what our teeth and bones need. To give Filipinos a great and delicious way to stay fit and healthy, SYSU International Inc. recently introduced Regilait in the Philippines. The number one milk brand in France is a global leader in milk products. 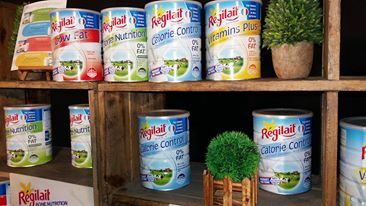 Regilait is sold in over 60 countries around the world, Regilait milk powder is granulated and made entirely from pure cow's milk with no fillers added. Regalait milk is dried and packed in France, has no additives, zero fat, and provides 100% perfect dissolubility, thanks to the granulation process for a smooth and delicious drink. Regilait is halal-certified and deemed suitable for consumption for those 3 years old and above. Regilait - Calorie Reduced - is a non-fat skimmed milk powder that helps control calories and cholesterol. It helps in weight control and is suitable for diabetics or people with high cholesterol levels. Regilait - Calcium is also a fat-free skimmed milk powder enriched with calcium, proteins, Vitamin D and phosphorus. It is recommended for those with calcium deficiencies or low bone density. Regilait - Multi-Vitamins is a variant which contains 8 vitamins. It is suitable for students and those on-the-go for the needed energy to get them through their day. Regilait - Low Fat is a nutrient-rich milk that contains 14% more calcium and 25% less saturated fat than regular dried milk. 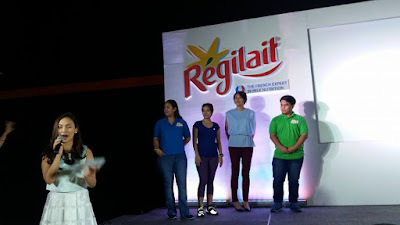 With Regilait now in the Philippines, Filipino families can choose from four different variants that provide a wide range of nutritional benefits for different lifestyles and whichever variant they choose, Filipinos will surely delight in a delicious milk drink that fits their dietary needs. The product is available at Landmark, Makati Supermarket, Pioneer Market, Unimart and select Metro, Robinsons, Shopwise and Rustans supermarkets in Metro Manila.